February was a good reading month for me. 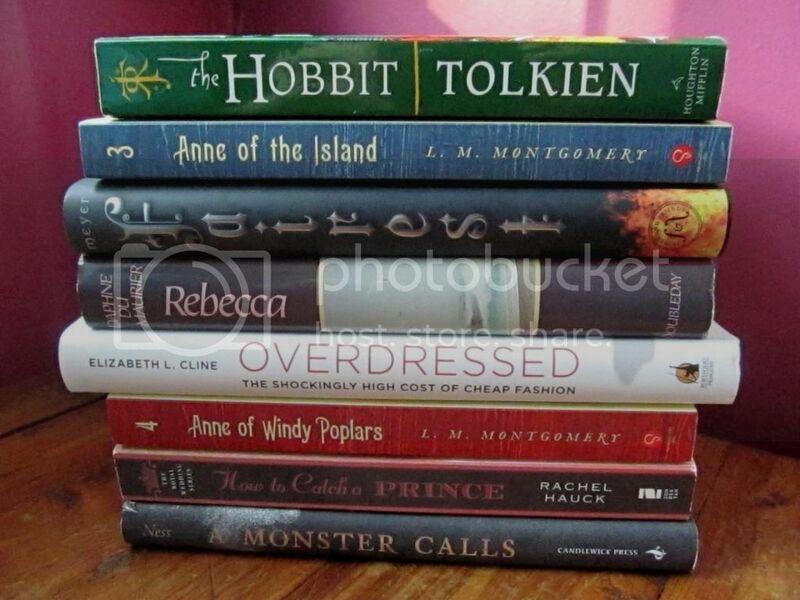 I managed to squeeze in more books than I expected, but it still seems like my to-read pile never shrinks. How is that? :) As usual, click on the titles to read my reviews. Anne of the Island, by L.M. Montgomery. Loved this one. I don't think I enjoyed it quite as much as the first two, but honestly, it's impossible to not love these books. Fairest, by Marissa Meyer. Levana is such a messed up character! I loved reading her backstory (though it was pretty depressing), and now I'm even more excited for Winter. 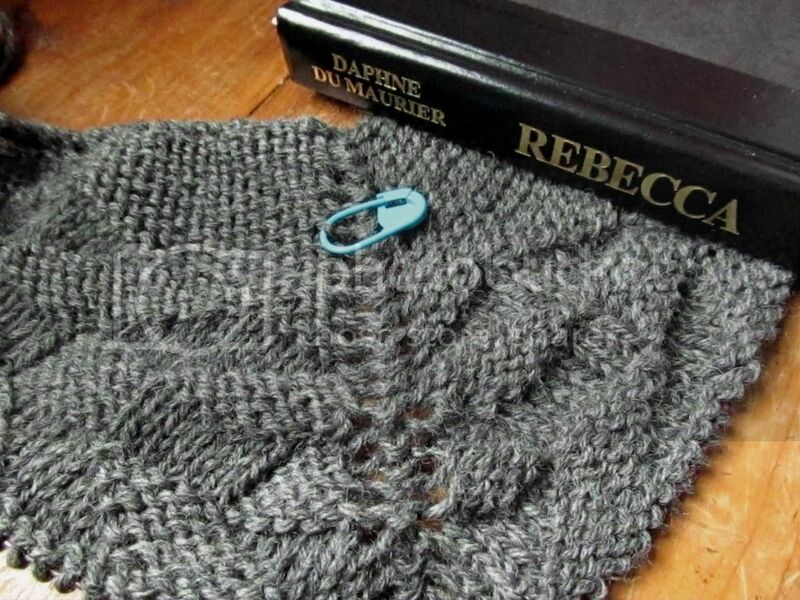 Rebecca, by Daphne du Maurier. Wow...this book was amazing. Strange and depressing, but amazing. It was so much better than I anticipated and way better than the film! It's definitely one of my favorite books I've read so far this year, and one of the most atmospheric books I've ever read. 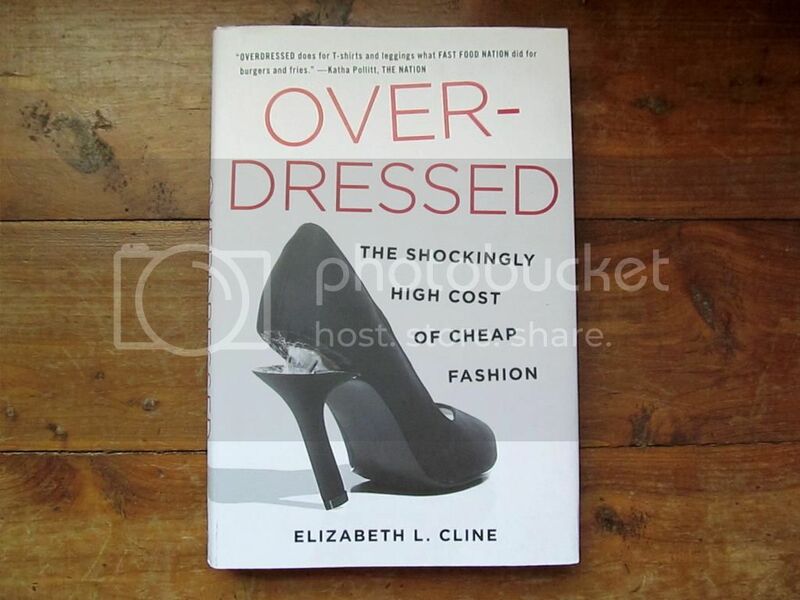 Overdressed: The Shockingly High Cost of Cheap Fashion, by Elizabeth L. Cline. This book made me think and opened my eyes in so many ways! Everyone should read it. I wrote a bit more about it here. Anne of Windy Poplars, by L.M. Montgomery. I liked this one much better than the third one. It was interesting getting to revisit characters that are in the second film that I had forgotten about. I don't know how in the world Montgomery manages to write so many quirky, memorable characters without ever repeating herself! Miss Minerva and her cursed family cracked me up. A Monster Calls, by Patrick Ness. This book wasn't exactly what I expected, and it wasn't quite as impactful as I thought it would be. Still a beautifully haunting book, though...it's a sort of graphic novel (there are lots of creepy illustrations) about a boy whose mother has cancer. 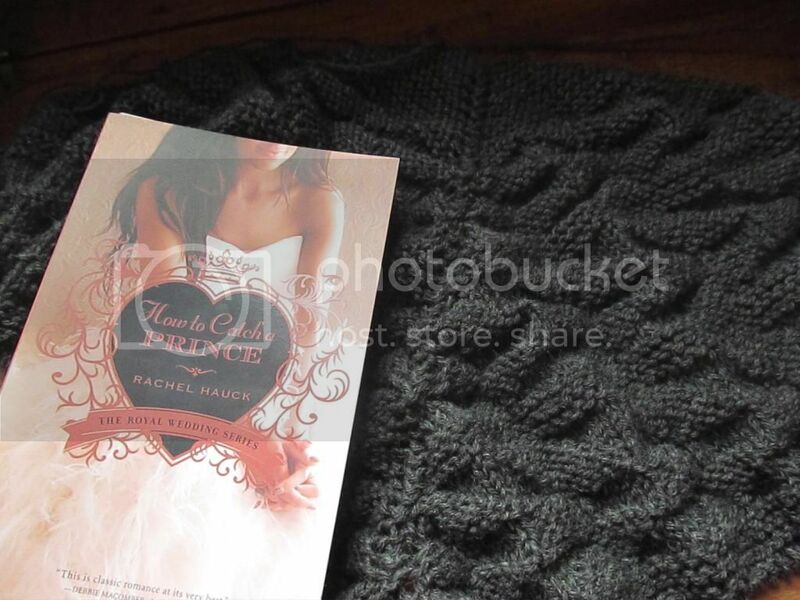 Since I had previously read and enjoyed the first two books in this series, I was pretty confident that I would like the third and final installment, How to Catch a Prince. Rachel Hauck didn't let me down! If you've read the first two books, then you'll have an idea of what to expect with this one. Prince Stephen, the main character, is the brother of Nathaniel (from the first book), so characters from the previous books show up and previous events are referenced. The major difference in this story, though, is that it isn't a typical meet-and-fall-in-love romance...Stephen and Corina are already married. They had married several years before in secret, but after Stephen came home from his deployment hiding something, they went separate ways. I found Corina to be a very likable character, and I thought her reactions and feelings were very realistic. I like that she demanded answers for what had happened between her and Stephen. I liked Stephen, too, but I sometimes got frustrated with him for not getting the truth out into the open. Characters are always getting themselves into predicaments because they think they know how another person is going to react or feel, and they're usually mistaken! This book was slightly darker than the other two, dealing with issues like grief and war. Of course there are plenty of swoony fairytale moments, but the deeper issues are equally prominent. One of my favorite things about this series is how Rachel Hauck manages to take very unlikely circumstances and make them feel realistic. Even though the kingdoms of Brighton and Hessenberg are imaginary, she writes them in such a way that they feel real. I especially like the way that she describes Cathedral City and I could picture it so clearly in my head. I do have to admit that in some ways this book veered a little too far towards the unrealistic side of the spectrum. Several things happened that are implied to be divine intervention, and they were just a little over the top for me. Particularly the whole Manor thing with Brill and Adelaide. I'm not saying that miracles can't happen because obviously I believe they can and do. However, because of just how realistic the first two books were, these things felt out of place and awkward to me. That's my main qualm with the book...I would have appreciated it if things were a bit more subtle. Overall, I really enjoyed How to Catch a Prince. It's probably my least favorite of the series (the second book was my favorite), but it was still a solid 4 star book for me and a nice conclusion to the series! I recommend this series for anyone who likes clean romances and who happens to have a fondness for modern day royal fairytales. :) I've said it before, but if you like The Princess Diaries films, you'll enjoy this series! If you're interested, here are my reviews for the previous two books: Once Upon a Prince and Princess Ever After. I've been a Sherlock Holmes fan for a few years now. I've only read a couple of the original stories (I own a bind-up of most of them and I'm always intending to read more!). But BBC's Sherlock is one of my favorite shows, and I've seen (and enjoyed) most of the Granada series from the 80s. I knew that this movie was inspired by the Sherlock Holmes stories, but I didn't realize that it's basically just a kids' version! :) I was pleasantly surprised with this one. All of the references to Sherlock made me smile. 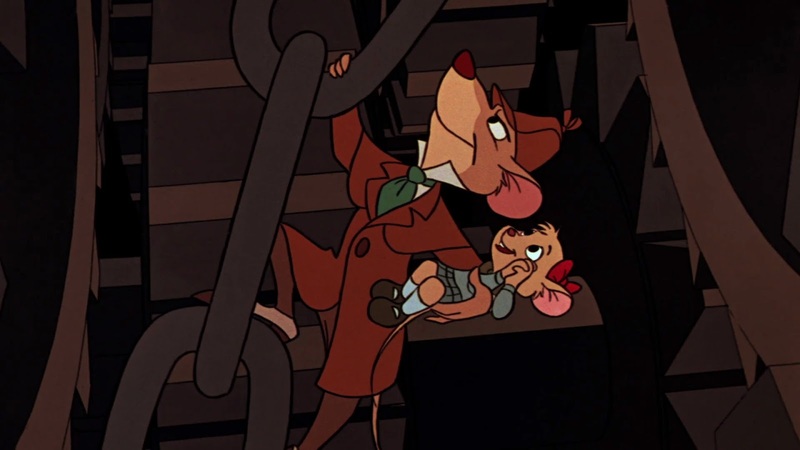 Basil (the mouse detective) is moody and distracted at times but exuberant at others, and he can never remember the little girl's last name (or he refuses to, which sounds like something that Sherlock would do). He plays the violin and is interested in chemistry. 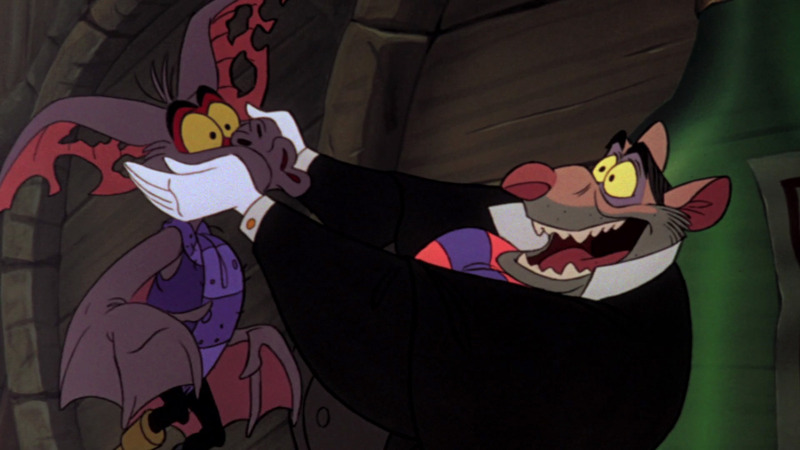 Of course, Dawson is Watson and Ratigan is Moriarty. There's another big parallel, but more on that later. And I love the fact that Sherlock Holmes lives in the house above Basil. I have to say that I wasn't really expecting this movie to be a musical. There were only three songs, so it wasn't overwhelming, but at least two of those are big musical numbers. I did not like the "Let Me Be Good to You" scene at all. It's set in a tavern and the song starts out only mildly inappropriate, something that would likely go over children's heads. But then it got surprisingly suggestive! It felt really out of place in a children's movie and I was surprised that it was included. I absolutely loved the dramatic finale in the Big Ben clock tower. It was so tense and exciting and incredibly well done. Here's where another Sherlock reference comes in: the scene echoes Sherlock and Moriarty's showdown (and fall) in The Final Problem. The music was amazing in this scene and gave it even more of a dramatic, cinematic feel. I probably should have mentioned before that Henry Mancini wrote the music for this movie, so the score does sound a lot more like a live-action film than an animated one. With the exception of the tavern scene, I really loved this movie! It was exciting and funny and I loved picking out all of the Sherlock references. As with The Sword in the Stone and Robin Hood, this movie is a good way to introduce kids to the idea of a story before they're old enough to read the original source. But that doesn't mean it can't be enjoyed by adults, as well! Next up on the list is Oliver & Company. We're inching closer to the 90s now, and I'm so excited! As someone who grew up during the "Disney renaissance," I'm probably going to start getting nostalgic and sappy over the films soon. 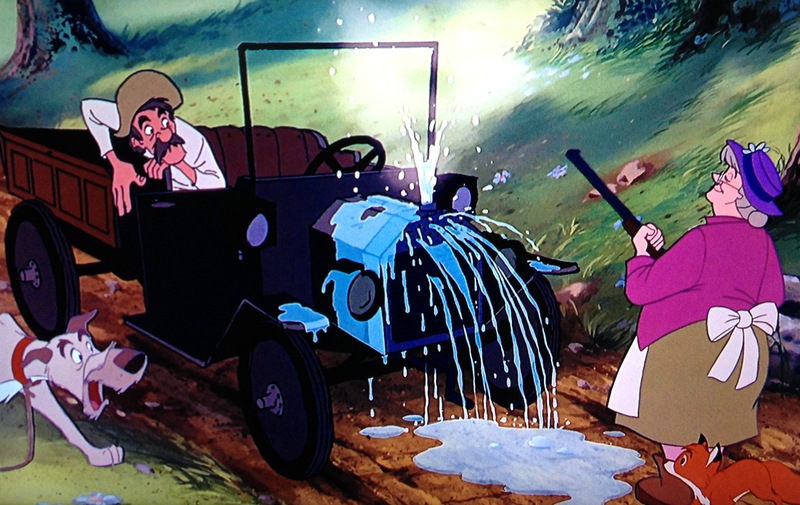 :) Of course I love discovering new favorites, but there's nothing like reliving your favorite childhood films. What do you think about The Great Mouse Detective? Are you a Sherlock Holmes fan? I really love these socks. 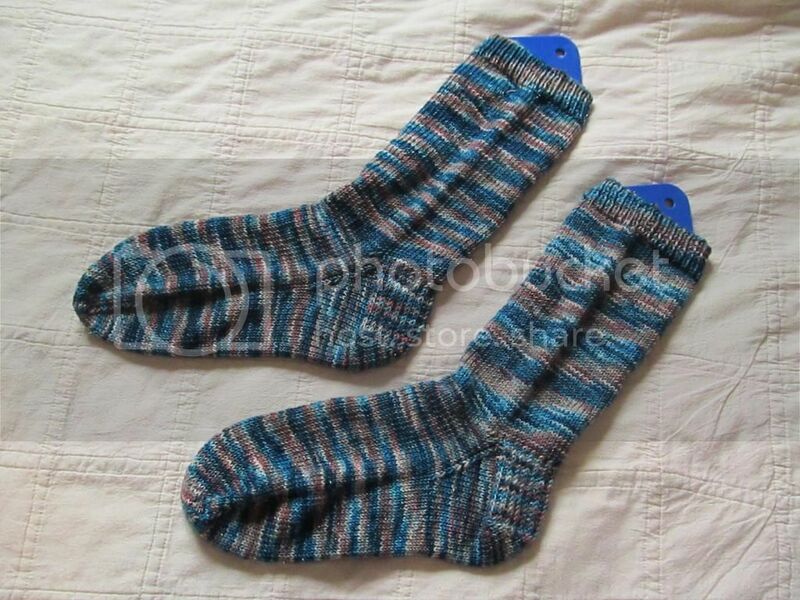 I think they're probably my second or third favorite pair that I've knitted for myself (these are still my favorites). 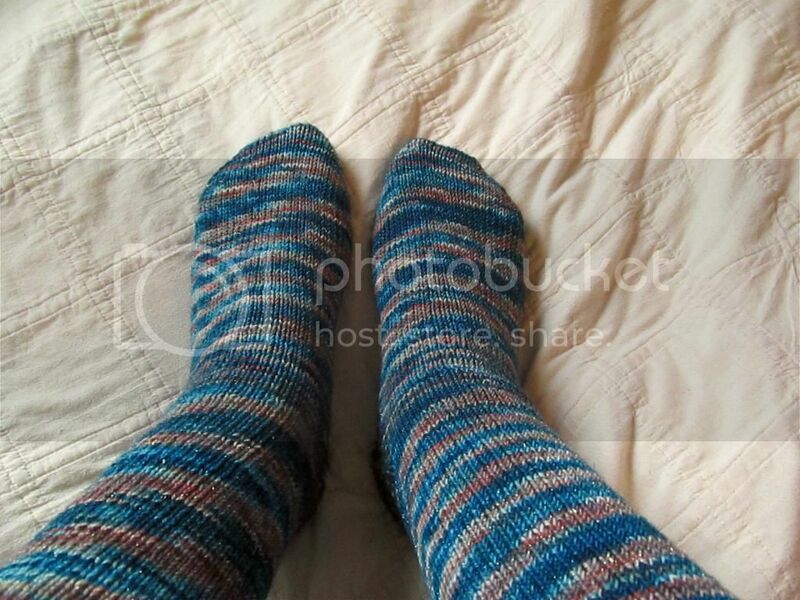 I wanted to knit plain vanilla socks this month, but I started to get a little nervous when this yarn started pooling. I'm glad I didn't try to change it because I ended up loving it! 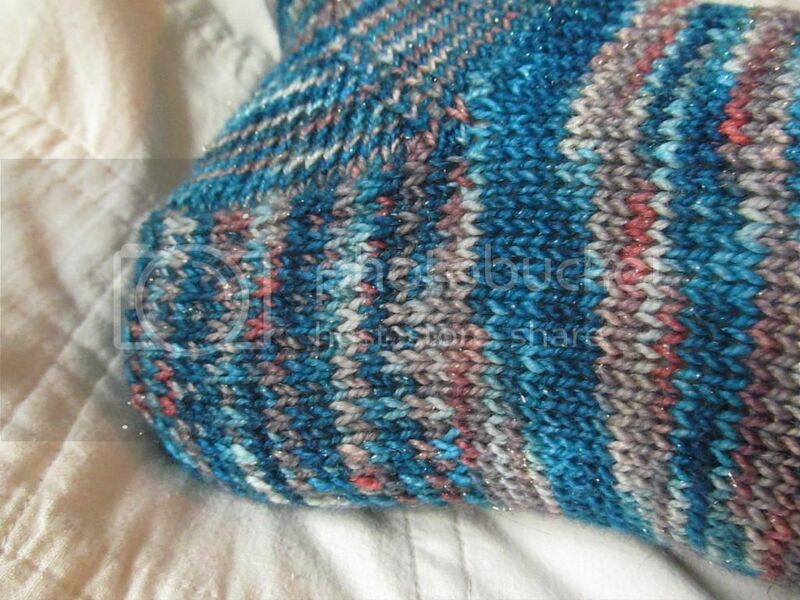 The yarn is Quaere's Sparkle Sock (I think the sparkle is most clear in the photo of the heel) in the River Bed colorway, and I think that's the perfect name. 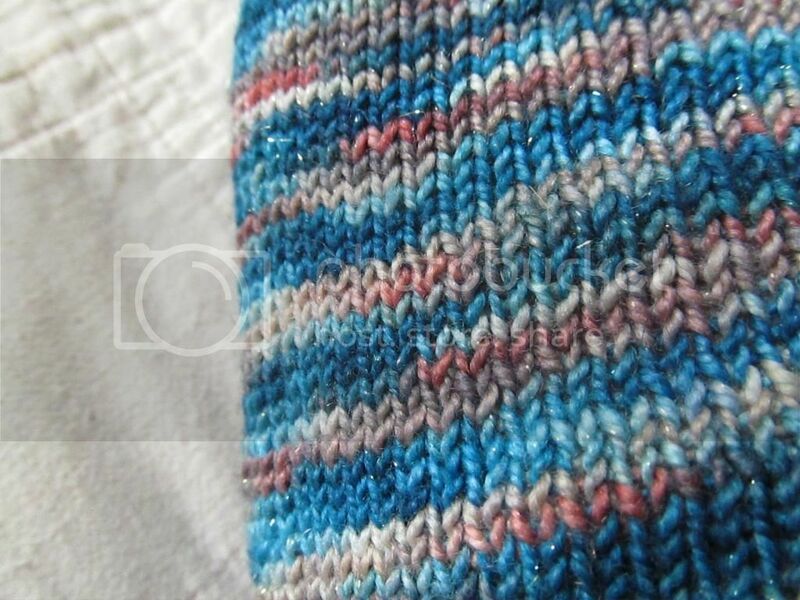 Between the spirals and the colors and the sparkle, these socks really do remind me of water. 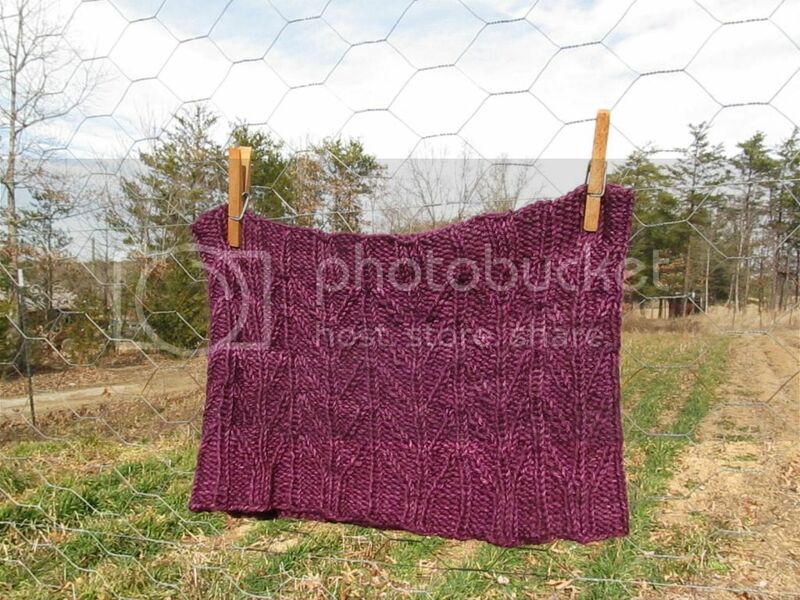 The funny thing is that this yarn really had a mind of its own when it came to pooling. On the first sock, the spirals down the leg were thick and consistent, and then they got skinnier on the foot (same stitch count!) On the second sock, the opposite happened. I don't think you can notice it when they're on, but when they're laying flat it's more obvious. I had never seen this next Disney film before...I don't think I'd even heard of it until I was making the list of films. It's The Black Cauldron. If you're like me and aren't familiar with the movie, here's a brief summary: there's a bad guy called the Horned King. He wants to get hold of this magical black cauldron because it will help him form an army of undead warriors. There's a young pig-keeper named Taran who gets caught up in this mess and decides to try to destroy the cauldron himself before the Horned King finds it. First of all, here are some random facts about The Black Cauldron. It's not a musical, which is very unusual for Disney films up to this point! Most of them have at least one or two songs, but this one only has a score. It was the first Disney film to receive a PG rating and also the first Disney movie to use some CGI in the animation. Finally, at the time of its release, it was not only the most expensive animated film ever made, but tied with a couple of others for the most expensive film ever made. But it was such a box office bomb that Disney didn't even release it on home video until 13 years later. The strangest thing to me was the importance of the pig, Hen Wen. You see, Hen Wen is a pig who has...special abilities? She can look into a pool of water and sort of see the future and other things. So she can see where the black cauldron is, and the Horned King wants to use her to help find it. Apparently this movie was loosely based on some books, which is the only reason why I can think of them using a pig. She's not a talking pig...she's just a pig. So it seems really random for her to have these powers. I just felt like it would have been better if she had been a human. I understand that Taran doesn't want the Horned King to get her because he'll use her powers to find the cauldron. But there are some parts of the film where he's being all emotional and protective over her and it just feels weird. If she had been a little child or something, it would have been a lot more moving and important for her to be saved. Taran probably eats bacon or ham for breakfast every morning, so why is he so attached to this pig? There weren't a lot of voice actors that I recognized in this film, but there are two interesting ones. John Hurt (yes, the War Doctor for you Doctor Who fans) is the voice of the Horned King. And the voice of the narrator was famous director John Huston. Speaking of the Horned King, he was pretty creepy. Though I think he was creepier when you just saw shadowy glimpses of him, because your imagination is usually worse than the actual thing, you know? When I saw all of him, he lost some of his creepy factor. I have to mention Gurgi, a weird little creature that becomes fairly important to the plot later on. He was basically a mixture of Stitch (from Lilo & Stitch) and Gollum. I couldn't get over how much he reminded me of a slightly less creepy Gollum! His voice, phrases he would use, his movements, everything. It makes me wonder if the LOTR film-makers were somehow inspired by him? Gurgi isn't meant to be bad, and in fact he acts rather heroic at times, but I just couldn't bring myself to like him very much because he reminded me of Gollum. The character Fflewddur Fflam made me smile and added a bit of humor to an otherwise surprisingly dark and violent film (dark and violent for Disney, anyway). While this was definitely a strange movie, I ended up liking it. 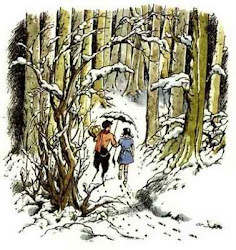 It held my interest, and I liked the old-fashioned English setting (similar to The Sword in the Stone or Robin Hood). It's not a new favorite, but out of the Disney movies that I've seen for the first time during this series, it's probably in my top five or six. Have you ever seen The Black Cauldron? What did you think of it? 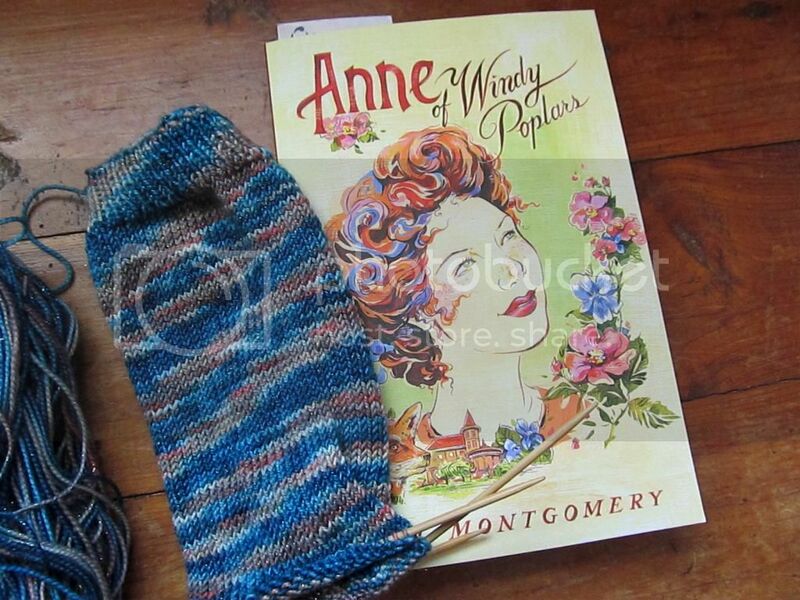 Reading: The fourth Anne book: Anne of Windy Poplars. I've only read one chapter so I really can't comment on it yet! :) I am very excited to read about the Pringles (while at the same time dreading it), because I remember them from the second Anne film. There should be plenty of drama! I've never been one of those girls who loves shopping for clothes. First of all, as someone who has always struggled with insecurities and feeling overweight, shopping for clothes was usually a pretty depressing experience. Nothing fit the way I wanted it to or the way that I thought it should. 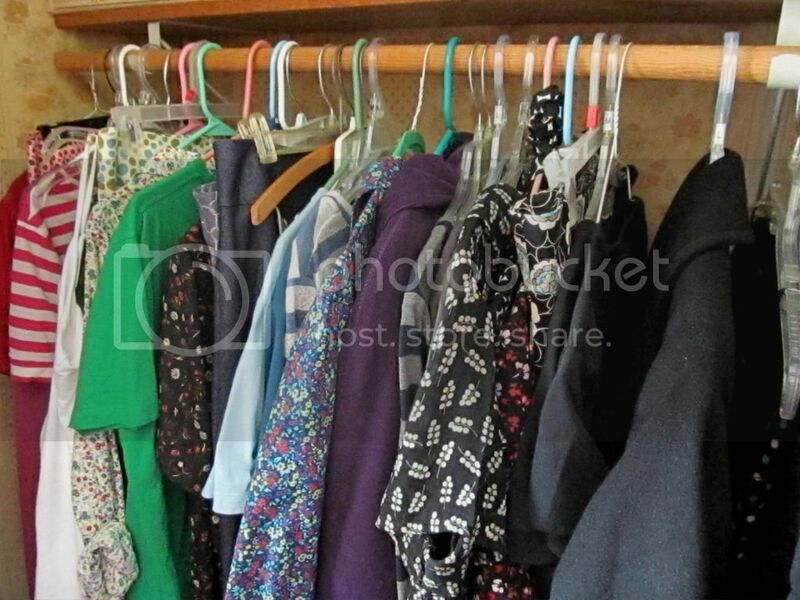 A little later into my teenage years, I started realizing that most of the clothes I kept seeing were not modest enough for my preferences and on top of that, I just didn't like most of them. I know what I like to wear and usually those things don't overlap with whatever is trendy at the time. Within the past two years or so, I became vaguely aware of the poor conditions of the factories where most of our clothing is produced, and I started feeling uncomfortable with the idea of buying new clothes. 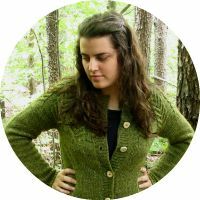 I made a lot of my own clothes and kept wearing what I already had, and for me personally it was pretty easy to not buy many new clothes (given my dislike of the whole process anyway!). In 2013 and 2014, I bought three Doctor Who t-shirts from Threadless (the shirts are made in Nicaragua and printed in Chicago), two pairs of jeans from Old Navy (made in China), and a winter coat (made in Vietnam). Our world is so messed up. I know that there are more obvious and important ways that our society is messed up. But cheap fashion is an issue that touches the lives of nearly everyone in the world, those of us who buy it and those who are making it (and those in poor countries who are inheriting the bales of old thrift-store donations that we don't need anymore), and for us Americans it's edged into our lives without us even noticing. According to Overdressed, American families are currently spending less of their annual income on clothing each year than ever before, but they are buying more clothes. That's the allure of cheap fashion: if we only spend a few dollars on a t-shirt, who cares how long it lasts? We can always buy more. Clothes have become disposable. They used to be valuable...you invested in high quality garments, took care of them, and then mended when necessary. After World War I, a mid-priced dress would have cost just under $200 in today's dollars. Now most of us don't want to spend more than $25 on an item of clothing. When Americans started buying high quantities of cheap clothing, companies started turning to overseas factories. Those factories can churn out huge amounts of clothing for a fraction of what it would cost to make them in America. The main reason? Cheap labor. The average wage of a sewing machine operator in the US is about $1,660 a month. In China, the minimum wage in some provinces is $147 a month and in Bangladesh it's $43 a month. People are working long hours in factories (unsafe ones in some instances), with little to no time off, and they're not even making enough money to live on. The worst part is that it's our fault. We can't complain about the shoddy quality of our cheap store-bought clothes. (You get what you pay for, though according to Overdressed, most high-end and designer clothing isn't any better...you're paying for the brand name, not the quality.) We can't complain about the demise of the American textile and garment industry and how so many jobs have been moved overseas. We chose this! We chose cheap, fast fashion and this is what happened. Please know that I'm not being judgmental, you guys. I'm not pointing fingers or trying to shame anyone for where they shop. This is part of our culture and it's hard to change! It's ingrained in most of us to look for cheap prices, because we feel like that's how we get the most for our money. Up until a couple of years ago, I bought clothes at Target and Old Navy. I haven't bought any shoes in years (because I tend to wear them until they fall apart), but most of my shoes came from Payless or Ross and I don't think I've ever paid more than $35 for a pair. Usually it was more like $15 to $20. I've been browsing for US-made shoes, and wow...talk about sticker shock! It's so hard to change my way of thinking, to stop believing that cheaper is better. I don't pretend have the answers to this, but I do have some thoughts on the changes that I'm personally going to try to make. This post is already long enough, so I'll be writing another post with those ideas and how I think the cheap fashion mindset ties into handmade. I realize this whole post is probably depressing, but I just want people to start thinking about where their clothes came from and how they were made. What do you think about it? Where are your clothes made? Out of my clothes in my closet that were purchased rather than made by me, none of them are made in America. -These books. My nonfiction reading seems to be focused on fiber...surprised? :) The two natural dyeing books arrived in the past week and I'm looking forward to learning more. 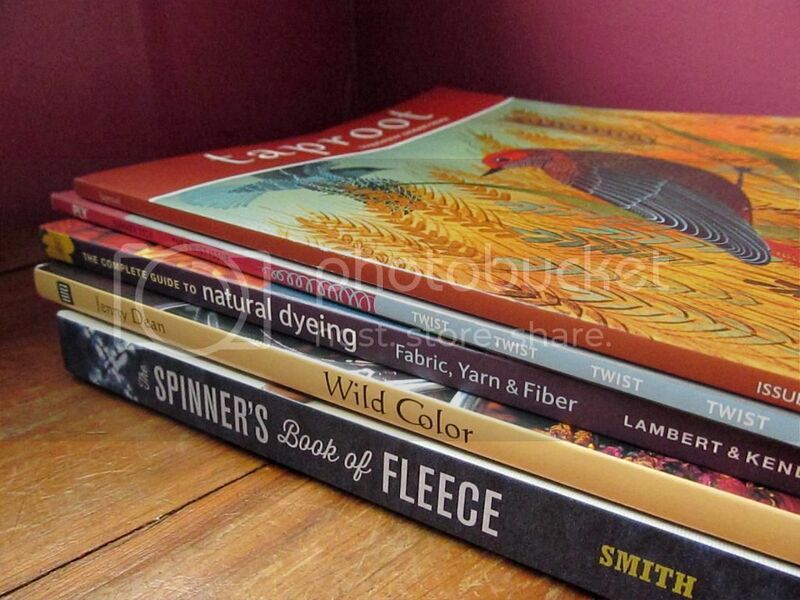 Up to this point, my sources for natural dyeing information were scattered websites and one book: Harvesting Color. It's a wonderful book and I've learned a lot from it, but most of the plants included are found on the west coast and I'm in Virginia, so that doesn't help me a lot. -These lovely pictures. I realize that pictures of sheep probably don't sound exciting to some of you, but these sheep are so adorable (they're born black but their fleece lightens to white and gray as they get older) and the pictures themselves are pretty stunning. 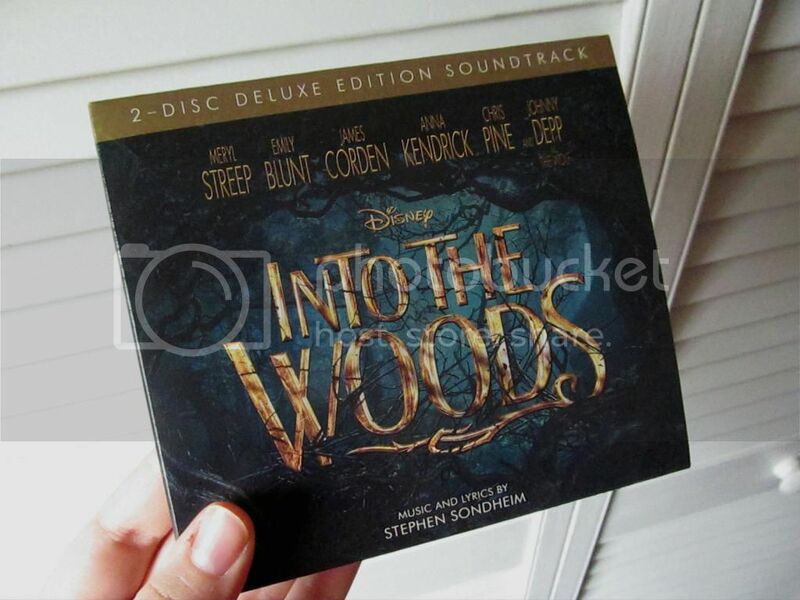 -Into the Woods soundtrack. I used to listen to a ton of soundtracks, but lately I haven't been. But you guys...I love musicals. I know, they're cheesy and it would probably get really annoying if people randomly broke into song in real life. (I don't know, though, I think it sounds kind of fun if you can sing, which I can't.) But I just can't help it: I love musicals. So the songs from this movie have been stuck in my head a lot over the past week, which makes me even more excited for the DVD release but it can also be irritating. (Like when I'm trying to fall asleep and one of the songs will be playing on repeat in my mind). -The Woolful podcast. I know I've mentioned this before, but it's so interesting and informative and inspiring! I've tried to get into podcasts before, but I always give up after a couple of episodes. With this one, I never miss an episode and I always anxiously await the next one. -These two movies: The Young Victoria and Julie and Julia. They're both favorites of mine that I rewatched this week and remembered just how much I love them. The Young Victoria is a beautiful period drama about Queen Victoria's life before she took the throne and the beginning of her reign. It's such a quiet, understated movie (similar to Miss Potter or more recently, Belle), and sometimes those are my favorite kinds. As for Julie and Julia, I resisted watching that movie for such a long time. I'm sort of fascinated with Julia Child and I like Amy Adams as an actress, but I had heard bad things about the memoir that inspired the film. I finally watched it and absolutely loved it. It makes me want to learn how to cook. :) Also, I love the sweet way they portrayed the relationship between Julia and her husband Paul. From what I've read about their real life, it seems pretty accurate. -This handspun yarn. Here's a sneak peek for you...it's supposed to be for my new Etsy shop, which will hopefully be opening within the next month or so! But goodness, I'm going to have a hard time letting it go. I love this yarn. 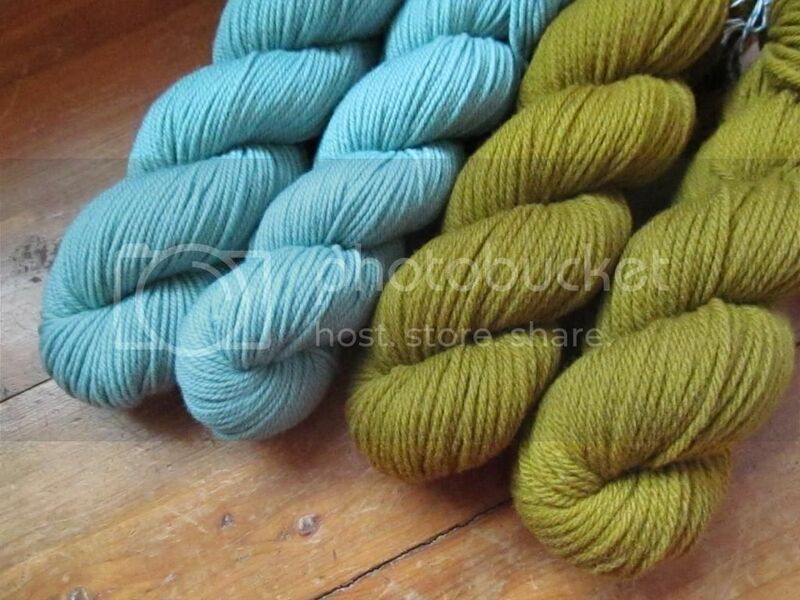 It's BFL and so squishy (there's that word again) and the colors are beautiful. 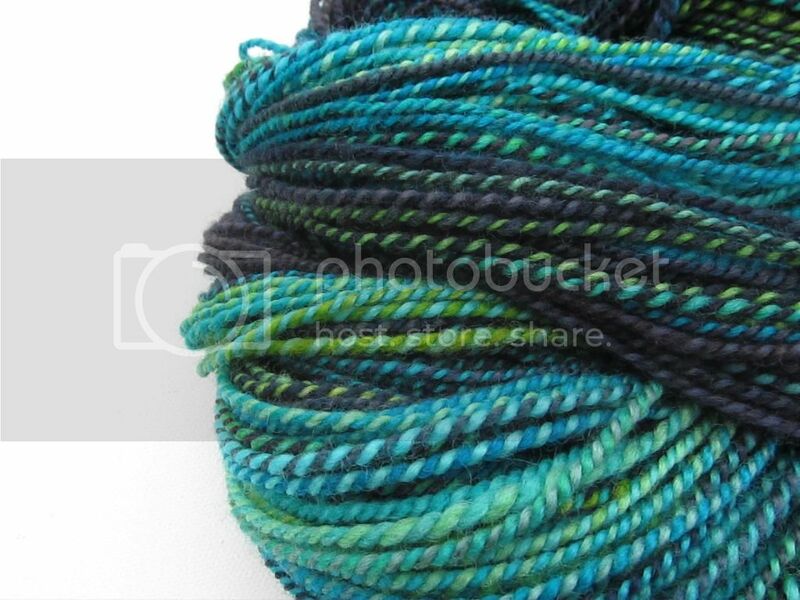 I bought it at a fiber festival last year and the colorway was perfectly named Scuba Diving. I finished this cowl a couple of weeks ago. 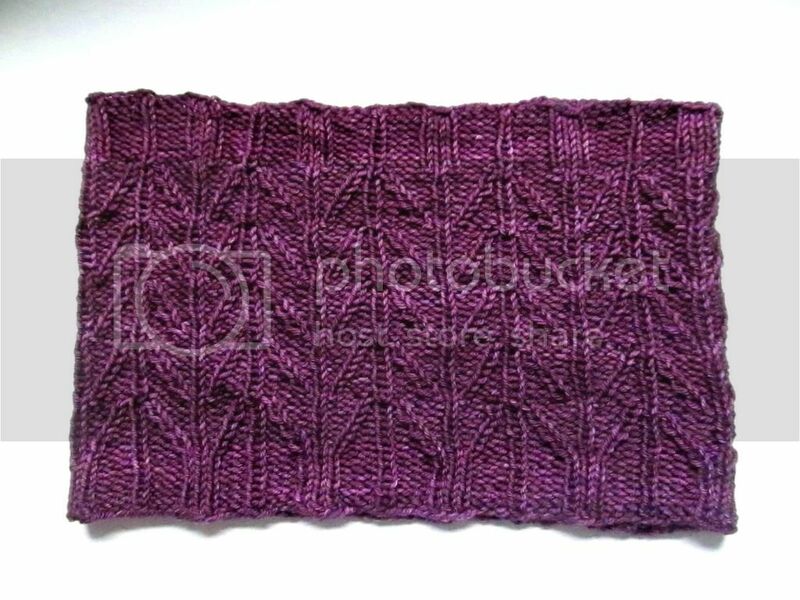 I had cast on at the beginning of the year and almost finished the entire cowl when I realized that it wasn't going to be as big as I wanted, and I was going to have a lot of yarn left over. So I ripped it out and started over again later. Here's the pattern I used. I ended up casting on more stitches...132 instead of the 108 that the pattern says. Also, I had enough yarn to do five repeats of the design instead of four. 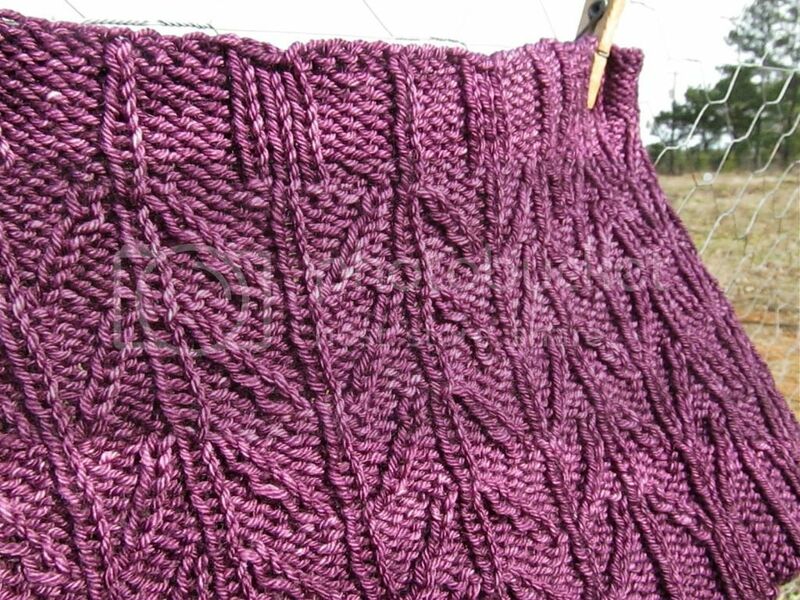 The yarn is tosh dk in the medieval colorway. The bottom two pictures are more accurate color-wise...it was a sunny and windy day when I was trying to get photos. 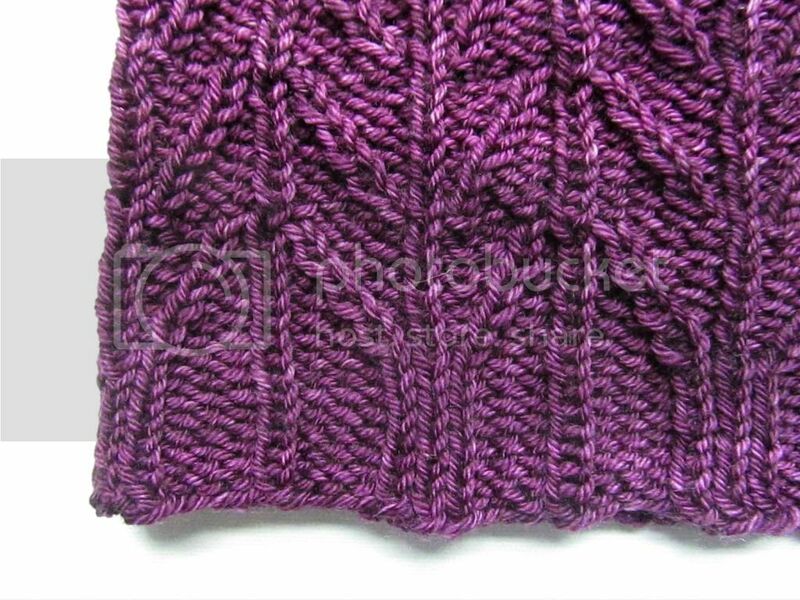 The yarn is a really dark, rich purple. Wow, it has been forever since I've done one of these! If you're a new reader, you might not know that way back in spring of 2013, I decided to watch through all of the animated Disney feature films (in chronological order) and post reviews of them. I figured it would take about a year, at the most. Ha! My last review was The Rescuers, and that was back in June...I haven't done one since. But now I'm trying to get back into this series. If you're interested, you can find all of my previous reviews here. The film opens on a depressing note, with Tod's mother leaving him hidden in the grass and then getting shot. That sort of sets the tone for the whole film, in my opinion. The entire film feels a bit depressing, probably because you know that Tod and Copper's friendship is doomed from the start. There aren't too many happy moments, but there's a lot of conflict: between Tod and Copper, the birds and the caterpillar, Widow Tweed and Amos Slade, etc. I don't have much to say about the first half or so of the film, because I was too distracted by anticipating the part where Widow Tweed takes Tod off and leaves him in the woods. I know that this is sensible...a person shouldn't have a pet fox in the first place. But I hate this scene for being so sad! This is why I rarely watch animal movies. They're always too sad. I had thought that maybe I could handle it this time, now that I'm older...nope. I started tearing up as soon as the music started playing, all through the drive to the woods during that hideously cheesy songish-thing-with-talking-instead-of-singing. Darn that scene for still making me cry after all these years! With that terrible part behind me, I could relax and enjoy the rest of the movie a bit more. I have to admit that the "fisher fox" scene is pretty funny, when Tod is trying to impress Vixey with his fish-catching skills. I've already watched the next film on the list, which is one I had never seen before: The Black Cauldron. That post should be up in a week or so! 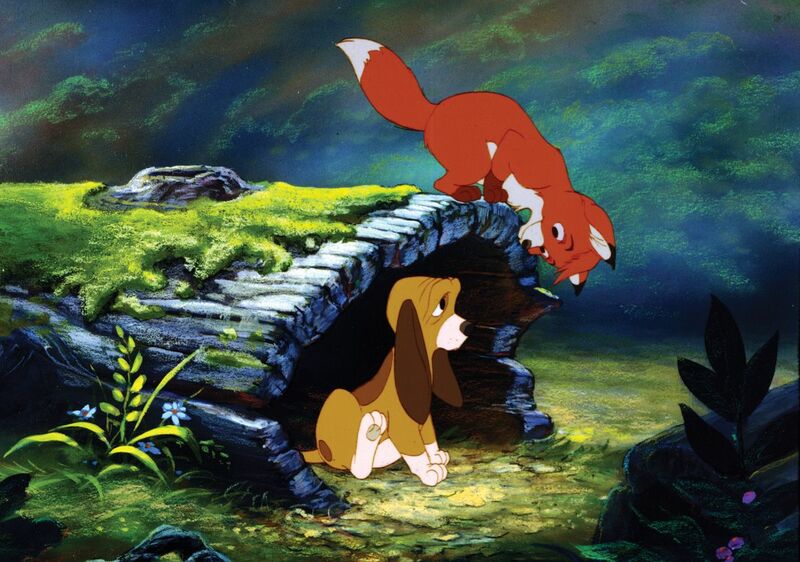 Do you like The Fox and the Hound? Reading: Anne of the Island, by L.M. Montgomery. I'm over halfway through and loving it, though maybe not quite as much as the first two. Speaking of books, I just found out that another book by Harper Lee is being published! Apparently it's a sequel to To Kill a Mockingbird but it was actually written before she completed that novel. I'm cautiously excited...To Kill a Mockingbird is one of my favorite books, so of course I'm thrilled about a sequel. But I just hope that this really does have Harper Lee's blessing and that she isn't just being taken advantage of (like with all that mess about that biography last year). 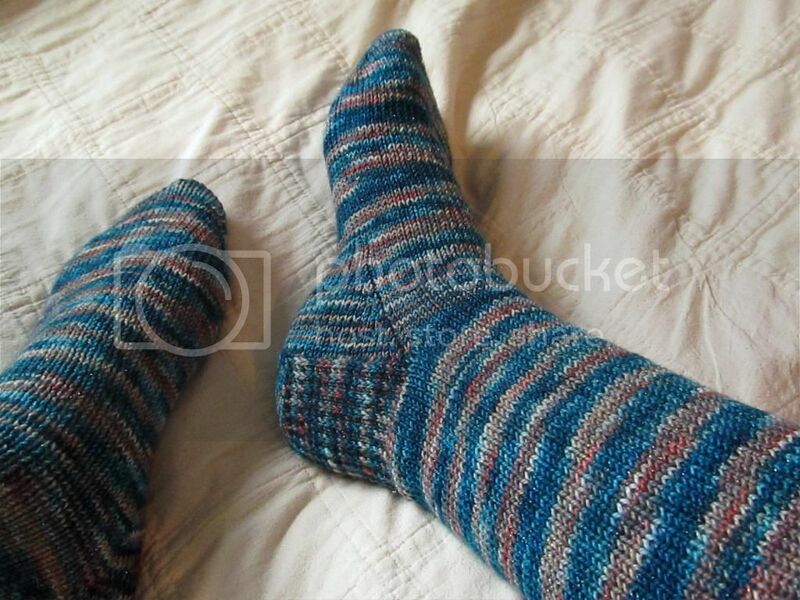 Knitting: A new pair of vanilla socks. I wasn't going to start another pair just yet, but I've been eyeing this sock yarn in my basket for a while now and I couldn't resist casting on! The yarn is pooling but I think I'm okay with it in this instance. The colors are a lot more vibrant than in the photo, and I don't know if you can tell, but the yarn is sparkly. Definitely not the kind of thing I usually go for, but it's so pretty! I can't believe we're already a month into 2015! January has really flown by. :) Anyway, here's what I read this month. Overall, I liked everything I read! As usual, click on the titles to read my Goodreads reviews. The Fairy's Return and Other Princess Tales, by Gail Carson Levine. 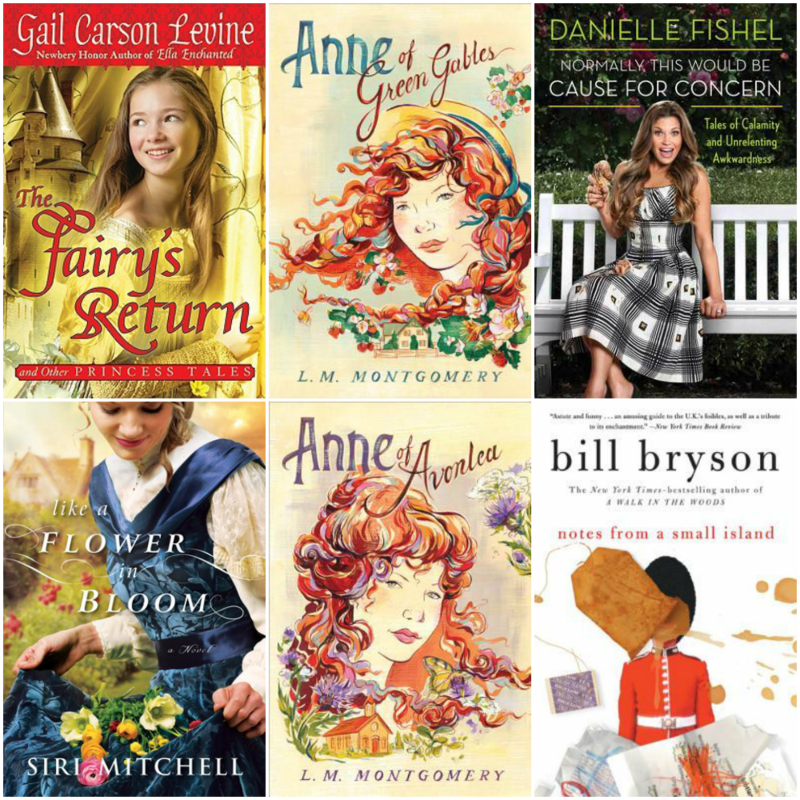 For at least the last 12 years or so, Gail Carson Levine has been my go-to author for sweet, funny fairy tale retellings. This was a lighthearted collection of short stories, and I really enjoyed them. So much fun! Normally This Would Be Cause for Concern, by Danielle Fishel. A memoir written by the girl who played Topanga in one of my favorite shows, Boy Meets World (nearly up there with Full House, as far as 90s nostalgia goes!). I had been looking forward to reading it for a long time, but unfortunately I was a bit disappointed. It wasn't bad, but it wasn't especially good, either. And there wasn't much about the show in it. 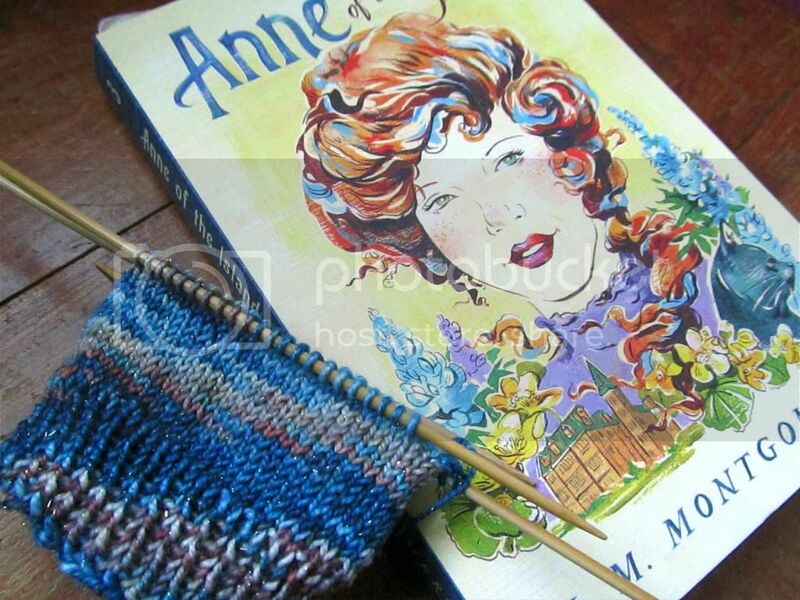 Anne of Avonlea, by L.M. Montgomery. Once again, I loved this one! Probably just as much as the first book. And I think this one was even funnier (loved the chapter where Anne is sharing with her friend in a letter about the things her pupils do and say). I'm definitely loving this series so far and wondering why on earth it has taken me so long to read it! Notes from a Small Island, by Bill Bryson. I'd been a bit hesitant about Bill Bryson ever since I read A Walk in the Woods (which I didn't love). So I was pleasantly surprised to find that I enjoyed this one a lot more than I expected to. He is negative at times, but not as much so as I expected. It's still obvious that he's incredibly fond of England. The main thing that kept me from loving this book was the profanity and inappropriate content. It seems completely unnecessary! Bryson can write clean humor (and does quite often in this book), so why include the other junk?